3.5 out of 5 based on 16 bloggers and 2 commenters. 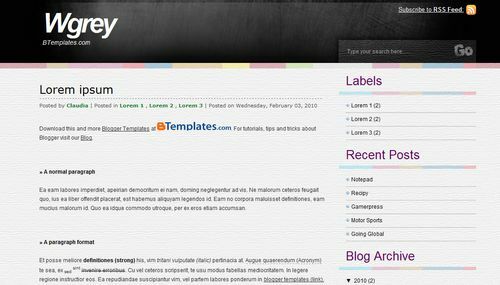 Wgrey is a free blogger template adapted from WordPress with 2 columns and right sidebar. I love this template. But I would like to know how can I leave the comments on formatting justified?